2. Description of Services. We make various information and services available on this Site. Any fees for the various services are set out elsewhere on this Site. You are solely responsible for providing, at your own expense, all equipment necessary to use the Site and any services, including a computer and modem and your own Internet access (including payment of service fees associated with such access). You understand and agree that temporary interruptions of the services available through this Site may occur as normal events. You further understand and agree that we have has no control over third party networks you may access in the course of the use of this Site, and therefore, delays and disruption of other network transmissions are completely beyond our control. You understand and agree that the services available on this Site are provided “AS IS” and that we assume no responsibility for the timeliness, deletion, delivery, or failure to store any user communications or personalization settings. In addition, you may not use your account to breach security of another account or attempt to gain unauthorized access to another network or server. Not all areas of this Site may be available to you or other authorized users of the Site. You shall not interfere with anyone else's use and enjoyment of this Site or other similar services. Users who violate systems or network security may incur criminal or civil liability. You agree that we may at any time, and at our sole discretion, terminate your use of portions of this Site or services without prior notice to you for violating any of the above provisions. In addition, you acknowledge that we will cooperate fully with investigations of violations of systems or network security at other sites, including cooperating with law enforcement authorities in investigating suspected criminal violations. 5. Third Party Sites and Information. This Site may link you to other sites on the Internet or otherwise include references to information, documents, software, materials and/or services provided by other parties. These sites may contain information or material that some people may find inappropriate or offensive. These other sites and parties are not under our control, and you acknowledge that we are not responsible for the accuracy, copyright compliance, legality, decency, or any other aspect of the content of such sites, nor are we responsible for errors or omissions in any references to other parties or their products and services. The inclusion of such a link or reference is provided merely as a convenience and does not imply endorsement of, or association with the site or other third party by us, or provide any warranty of any kind, either express or implied. 6. Intellectual Property Information. Copyright © 2015 Neurosurgical Atlas, Inc., All Rights Reserved. Neither we nor our Affiliates warrant or represent that your use of materials displayed on, or obtained through, this Site will not infringe the rights of third parties. See “User's Materials” below for a description of the procedures to be followed in the event that any party believes that content posted on this Site infringes on any patent, trademark, trade secret, copyright, right of publicity, or other proprietary right of any party. 8. Medical Disclaimer. The surgical and medical advices discussed in The Neurosurgical Atlas (The Atlas) are those of the participating surgeons and may not be applicable to your patients. These pieces of advice do not replace comprehensive assessment of your patients or the important discussion of the benefits and risks of intervention among the patients, their families and caretakers. The surgeons have provided their advice based on their circumstances, their experiences, skillset, and ethical standards. The lessons and recommendations provided in this Atlas should be considered as general principles. The Atlas, its authors and partners are not responsible in any way should you decide to follow any of their advice. The contents of the Site, such as text, graphics, images, and other materials are for informational purposes only and are not intended to be a substitute for professional medical advice, diagnosis, or treatment. The medical information and content shown and discussed on the Site are those of the participating surgeons based upon specific circumstances, experiences, skillsets, and ethical standards and may not be applicable to other persons or similar types of patients. Said information does not replace comprehensive assessment and discussion of the benefits and risks of any type of intervention among medical professionals, patients, their families, and caretakers. 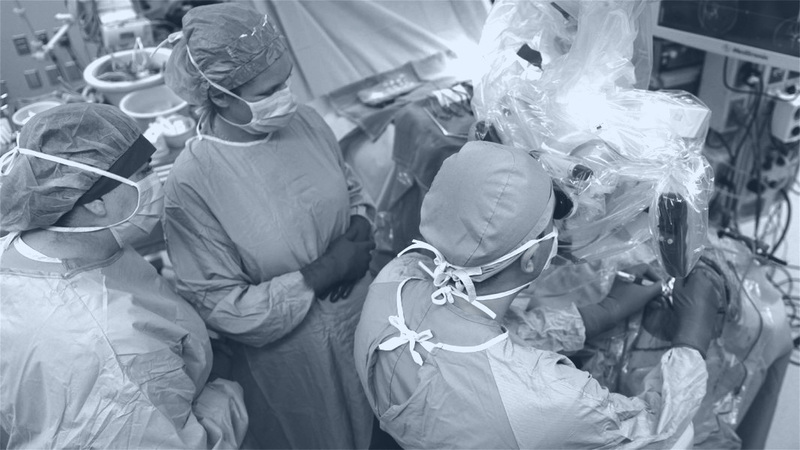 The information provided on this Site is intended to help to keep neurosurgeons aware of current procedures to improve patients' safety and surgical outcomes. The Neurosurgical Atlas, Inc., the Site, and our Affiliates are not responsible in any way should you decide to follow any information on the Site. This Site does not provide medical advice, diagnosis, or treatment. Always seek the advice of your physician or other qualified health provider with any questions you may have regarding a medical condition. Never disregard professional medical advice or delay in seeking it because of something you have read on the Site. If you think you may have a medical emergency, call your doctor or 911 immediately. The Site does not recommend or endorse any specific tests, physicians, products, procedures, opinions, or other information that may be mentioned on the Site. Reliance on any information provided on the Site is solely at your own risk. 9. Disclaimer of Warranties. ALL MATERIALS AND SERVICES ON THIS SITE ARE PROVIDED ON AN “AS IS” AND “AS AVAILABLE” BASIS WITHOUT WARRANTY OF ANY KIND, EITHER EXPRESS OR IMPLIED, INCLUDING, BUT NOT LIMITED TO, THE IMPLIED WARRANTIES OF MERCHANTABILITY OR FITNESS FOR A PARTICULAR PURPOSE, OR THE WARRANTY OF NON-INFRINGEMENT. WITHOUT LIMITING THE FOREGOING, WE MAKE NO WARRANTY THAT: (A) THE INFORMATION, MATERIALS, AND SERVICES WILL MEET YOUR REQUIREMENTS, (B) THE INFORMATION, MATERIALS, AND SERVICES WILL BE UNINTERRUPTED, TIMELY, SECURE, OR ERROR-FREE, (C) THE RESULTS THAT MAY BE OBTAINED FROM THE USE OF THE INFORMATION, MATERIALS, OR SERVICES WILL BE EFFECTIVE, ACCURATE, OR RELIABLE, OR (D) THE QUALITY OF ANY INFORMATION, PRODUCTS, OR SERVICES PURCHASED OR OBTAINED BY YOU FROM THE SITE FROM US OR OUR AFFILIATES WILL MEET YOUR EXPECTATIONS OR BE FREE FROM MISTAKES, ERRORS OR DEFECTS. Through your use of the Site, you may have opportunities to engage in commercial transactions with other users and vendors. You acknowledge that all transactions relating to any merchandise or services offered by any party, including, but not limited to the purchase terms, payment terms, warranties, guarantees, maintenance, and delivery terms relating to such transactions, are agreed to solely between the seller or purchaser of such merchandise and services and you. WE MAKE NO WARRANTY REGARDING ANY TRANSACTIONS EXECUTED THROUGH, OR IN CONNECTION WITH THIS SITE, AND YOU UNDERSTAND AND AGREE THAT SUCH TRANSACTIONS ARE CONDUCTED ENTIRELY AT YOUR OWN RISK. ANY WARRANTY THAT IS PROVIDED IN CONNECTION WITH ANY PRODUCTS, SERVICES, MATERIALS, OR INFORMATION AVAILABLE ON OR THROUGH THIS SITE FROM A THIRD PARTY IS PROVIDED SOLELY BY SUCH THIRD PARTY, AND NOT BY US OR ANY OTHER OF OUR AFFILIATES. Under no circumstances will the Neurosurgical Atlas, Inc., or its Affiliates be liable for any loss or damages caused by your reliance on information or advice obtained through this Site. It is your responsibility to evaluate the accuracy, completeness, or usefulness of any information, opinions, advice, or other content available on or through this Site. In particular, you are urged to consult an appropriate professional licensed in your jurisdiction before relying on any professional advice or information obtained on or through this Site. 11. Indemnification. Upon a request by us, you agree to defend, indemnify, and hold us and our Affiliates harmless from all liabilities, claims, and expenses, including attorney's fees that arise from your use or misuse of this Site. We reserve the right, at our own expense, to assume the exclusive defense and control of any matter otherwise subject to indemnification by you, in which event you will cooperate with us in asserting any available defenses. 12. Participation in Promotions. From time to time, this Site may include advertisements offered by third parties. You may enter into correspondence with or participate in promotions of the advertisers showing their products on this Site. Any such correspondence or promotions, including the delivery of and the payment for goods and services, and any other terms, conditions, warranties, or representations associated with such correspondence or promotions, are solely between you and the advertiser. We assume no liability, obligation or responsibility for any part of any such correspondence or promotion. 14. Use of Site and Storage of Material. You acknowledge that we may establish general practices and limits concerning use of the services available on our Site, including without limitation the maximum number of days that uploaded content will be retained on the Site, the maximum disk space that will be allotted or our servers on your behalf, and the maximum number of times (and the maximum duration for which) you may access the services in a given period of time. You agree that we have no responsibility or liability for the deletion or failure to store any content maintained or transmitted on or through this Site. You acknowledge that we reserve the right to log off accounts which are inactive for an extended period of time. You further acknowledge that we reserve the right to change these general practices and limits at any time, in our sole discretion, with or without notice. This Site is not designed or intended to be used as a disaster recovery facility or as an emergency data storage facility. Although we take reasonable precautions to preserve and protect the material you upload to the Site, you should not rely on the Site as your only storage facility. You should preserve backup copies of any digital data, information, or other materials that you have uploaded. You agree not to hold us for any damage to, any deletion of or any failure to store your files, data, or Registration Data. 15. Security and Password. You are solely responsible for maintaining the confidentiality of your password and account and for any and all statements made and acts or omissions that occur through the use of your password and account, including any mail sent and any charges incurred. Therefore, you must take steps to ensure that others do not gain access to your password and account. Our personnel will never ask you for your password. You may not transfer or share your account with anyone, and we reserve the right to immediately terminate your account in the event of any unauthorized transfer or sharing thereof. 16. Export Controls. Software available on or through this Site is subject to United States Export Controls. No software from this Site may be downloaded or exported (a) into (or to a resident of) Cuba, Iraq, Libya, North Korea, Iran, Syria, or any other country which the United States has embargoed goods; or (b) anyone on the United States Treasury Department's list of Specially Designated Nationals or the United States Commerce Department's Table of Deny Orders. By downloading or using the software, you represent and warrant that you are not located in, under the control of, or a national or resident of any such country or on any such list. 17. International Use. Although this Site may be accessible worldwide, we make no representation that materials on this Site are appropriate or available for use in locations outside the United States, and accessing them from territories where their contents are illegal is prohibited. Those who choose to access this Site from other locations do so on their own initiative and are responsible for compliance with local laws. Any offer for any product, service, and/or information made in connection with this Site is void where prohibited. 19. Governing Law. This Site (excluding any linked sites) is controlled by us from our offices within the State of Indiana, United States of America. It can be accessed from all 50 states, as well as from other countries around the world. As each of these places has laws that may differ from those of Indiana, by accessing this Site both of us agree that the statutes and laws of the State of Indiana, without regard to the conflicts of laws principles thereof and the United Nations Convention on the International Sales of Goods, will apply to all matters relating to the use of this Site and the purchase of products and services available through this Site. Each of us agrees and hereby submits to the exclusive personal jurisdiction and venue of the Superior Court of Marion County and the United States District Court for the Southern District of Indiana with respect to such matters. 23. Contact Information. Except as explicitly noted on this Site, the services available through this Site are offered by Neurosurgical Atlas, Inc., an Indiana nonprofit corporation. Our telephone number is (317) 362-8760.